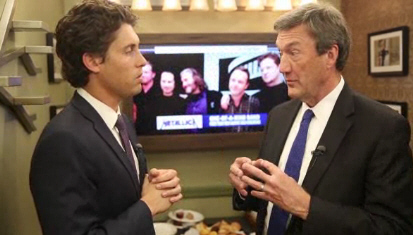 In New York last month, after appearing on MSNBC's, Morning Joe, it was great to spend time with Morning Joe producer, Louis Burgdorf, for a Green Room conversation about the new opportunities to improve health care and some of the challenges we face. 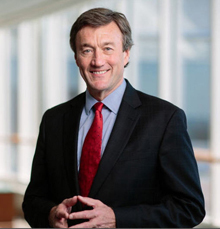 Like every organization in health care, Mayo Clinic is preparing for change. The implementation of the Affordable Care Act is one element driving change. A slow economic recovery and an aging of the population are also driving change. Mayo strongly believes health care must be built on a sustainable health care financial model. While the Affordable Care Act increases access to insurance coverage for many, it does little to address how health care is paid for. In fact, physicians will be reimbursed less for the care they provide under the Affordable Care Act. Mayo believes that the health care payment system should recognize the spectrum of health care delivery – primary, intermediate and complex care – while rewarding the quality and value of each. This includes all payers – both private insurance and government-funded programs, particularly Medicare. Medicare payment is of particular interest to Mayo Clinic. More than 50 percent of the care Mayo provides is to patients who are over age 65. We are not reimbursed adequately for that care. We’re not just sitting back waiting to see what happens. We are reaching out to members of Congress and other leaders in Washington and sending a strong message that the sustainable growth rate should be replaced with new, negotiated payment models that tie reimbursement to quality outcomes across the spectrum of care.